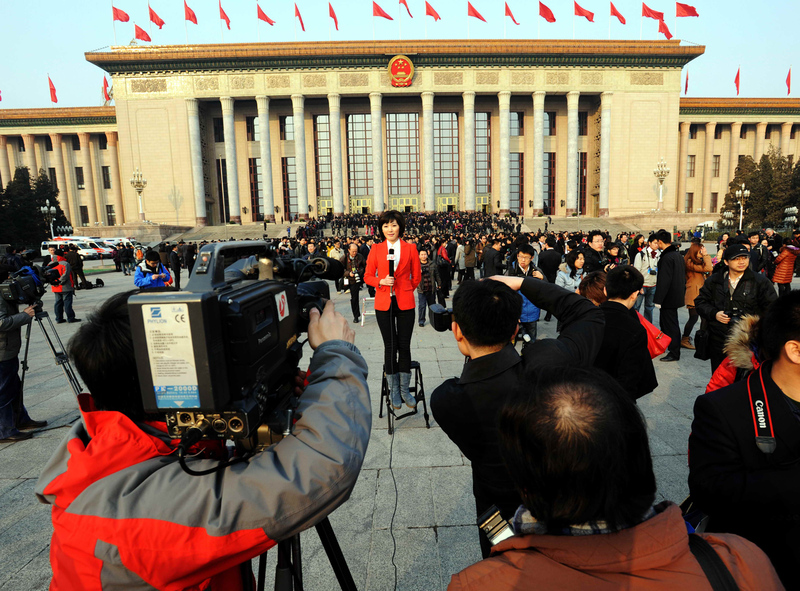 Reporters stand outside the Great Hall of the People during the opening ceremony of the National People’s Congress in Beijing, March 5, 2011. Outside observers typically view China’s media as utterly shackled by the bonds of censorship, unable to critique the government or speak truth to power in any meaningful sense. In part, this is true. Censorship and other pressures do create “no-go” zones for journalists in China, as well as gray zones that sometimes rapidly turn red. Maria discusses this theory in her new book, Media Politics in China: Improvising Power Under Authoritarianism, for which she interviewed 120 sources—journalists, officials, and experts—to uncover exactly how the improvised “dance” of mutual feedback between the media and the government in China really happens. On this episode of Sinica, she discusses both this research and her work on Russia, comparing the management of media in both countries and questioning how we should understand the role of media in authoritarian countries in general.